We often wonder if we can change the way people in our organization behave. It seems like such an impossible task, but much work has been done in understanding some basic concepts which leaders can use to modify the behavior of others and improve productivity. How do you correct the behavior of a staff member who is always late or someone who wants to take up your time complaining about others? How do you develop a more productive group or team? There are some concepts and ideas which can help with these matters. 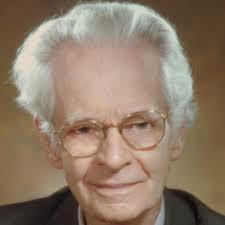 Much of the work in the motivational area was done by B. F. Skinner, who was a professor of psychology at Harvard University from 1958 till 1974. His basic theory was that one’s behavior is determined by consequences. If the behavior is reinforced there is a chance that it will be continued. If the behavior is punished it will be discontinued. This seems like a simple idea many have used in parenting, but how can it be applied to an organization where spanking is not allowed. Let’s start with a behavior which we want to continue. If it is reinforced it will continue. If it is ignored it will eventually stop. 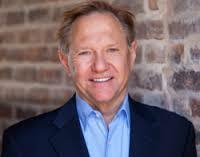 Quint Studer is the founder of the Studer Group, who provides leadership coaching for hospitals. One of the practices he strongly encourages in their administrators is a form of reinforcement. When a supervisor enters a room, the natural tendency is to look for something which is going wrong. His recommendation is to look for what is going right and compliment the staff on that item. That way the behavior will be encouraged to continue. So often we look to tie reinforcement to a reward and that reward might involve a financial incentive. A bonus system is that type of reward, which can be positive but is not always so. If one believes the bonus to not be determined fairly, then it does not serve its purpose. It’s also been shown that a financial reward provides motivation over the short term. Weeks later that motivation is no longer relevant. Training one’s self to provide less tangible rewards can be extremely effective. A simple “talk you” is such a reward. Recognition during a group meeting is another example. We once had a production department where people, at the start of a shift, were not at their machines. It had become a behavior which effected the production in that area. We observed the group behavior for a week and concluded that only 70% of machines were running at the start of the shift. We had a group meeting to discuss the situation and posted a chart indicating the 70% startup. Within the next few days that rate was increased to 95%. The chart became a means of reinforcing the desired behavior. Most leaders don’t appreciate that their personal attention can be a motivator. The boss who enters the office without saying “hello” is not providing motivation. We once had a manager in a small plant start every day talking to each one of the employees about how their area of responsibility was progressing. One day as he entered the office he received an urgent telephone call and inadvertently missed his daily rounds. Hours later several of the employees came to his office and inquired about his well-being. Behaviors which are reinforced tend to continue. Behaviors which are not reinforced will tend to extinguish. To this point, we have considered positive behavior which needs to be continued. What about negative behavior that we want to cease? There are three approaches to consider in these situations; reinforcing incompatible behavior, extinction, and punishment. For every undesirable behavior that we want to cease, there is a desirable behavior that needs to be encouraged. For example, if you want to reduce absenteeism, you need to increase attendance. Attendance and absenteeism are two incompatible behaviors. Therefore, reinforcing attendance will reduce absenteeism. Schools do this often with perfect attendance awards. In many cases, we reinforce a behavior unknowingly. If that reinforcement is reduced the behavior will be extinguished. Take this example. An employee or colleague likes to occasionally come to your office for a visit. During that visit, they complain about everything and everybody in the organization. During that time, you listen attentively and allow them sufficient time to vent. By doing this you are actually reinforcing that behavior. The suggestion to extinguish that behavior would be to ignore their presence. Keep working on a task that you need to do. Make a telephone call. By doing these types of activities you are not reinforcing the behavior. You are discouraging it and it will eventually extinguish. Be consistent. Don’t punish a behavior one time and ignore it the next. Be fair. Punishment should be appropriate to the unwanted behavior. Be specific. Don’t use “you don’t work hard enough” or “you have a bad attitude”. Punish behavior, not people. Don’t make it personal. Be calm. Don’t get emotional. 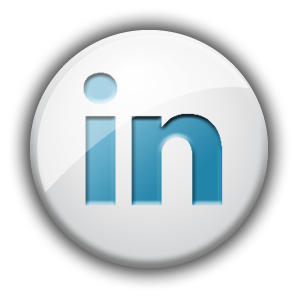 What we have just discussed is only an overview of modifying unwanted behavior in a company or organization. Implementation takes time and coaching. RLS Focused Solutions has been involved with developing teams which implement these concepts and excelled to high levels of performance. We would love the opportunity to discuss this approach and your situation in greater detail. Contact us at (910) 575 1286 or email bob@plangoals.com for a complimentary discussion. 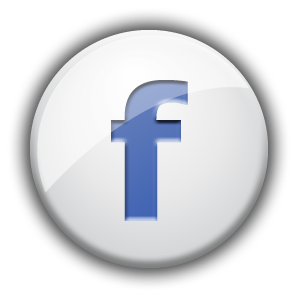 This entry was posted in Blog, Financial & Insurance, Healthcare, Non-Profits, Small Business and tagged change, culture, employee performance, leadership, right people, team on June 26, 2018 by admin.